Shasta Lake is a beautiful place where tourists and locals alike love to visit. Both the reservoir and the dam and great destinations to enjoy outdoor recreation opportunities. 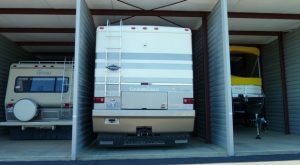 If you’d benefit from having a great place to store your RV or boat near Shasta Lake, consider storing your vehicle with AAA Mini & RV Storage in Redding! Our facility is just a short drive from Shasta Lake and offers you the convenience and security you’re looking for. Contact us today!